The policy made by our company makes us occupied in manufacturing a quality assured range of Rubble Sacks Bags. - These sacks are used in various industrial as well as commercial applications for storage of chemicals, fertilizers and certain food grains. We are engaged in offering a wide assortment of bags/sacks that are used in packaging of small quantities in cement, building material, food processing, grains and other industries. These bags are available in a variety of colors and stitching options with multicolor printing that is suitable for different types of products. Lucro manufactures a range of durable rubble bags. Manufactured from recycled materials the bags have excellent strength and do not split or tear when filling or lifting. They are suitable to carry sharp and heavy materials. The bags are reusable. Suitable for professional or DIY cleanup applications. With the help of our expert team members, we have been able to provide Rubble Sack. • It is made from the recycled raw material. • It is used in the construction to carry debris and rubble. • It generally ranges from 55 to 140 microns. • The sacks can be co-extruded (two colours) to give them better strength. 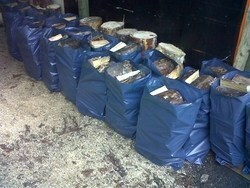 These sturdy rubble sacks are used for carrying rubble or stone and are offered at industry leading prices. It has plenty of space to keep the heavy products and assures of easy handling. 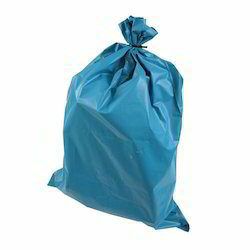 We are the prominent manufacturer and supplier of a wide gamut of Rubble Bags. These bags are fabricated using the finest quality raw material and advanced technology by the experienced professionals. Our offered bags are popularly known as the q-bag is a wonder in the fibc industry and are specifically designed and made in a manner to meet the bulk packaging requirements. Extra heavy-duty sacks made for carrying heavy loads & sharp edges, provides grate performance for tough jobs. Available in popular sizes & various packaging options. Rubble Sacks are Used for carrying stones.